Sir Mark Boleat holds a portfolio of public sector and private sector positions. This website gives details of his current roles. It also makes available a wide range of publications, some (particularly on building societies) now largely of historic interest, but others of which are still relevant, particularly in relation to regulation, trade associations, housing finance and also a separate research interest, population policy and family history in Jersey. Sir Mark can be contacted through this website using the form on the contact page. Mark Boleat graduated from Lanchester Polytechnic (now Coventry University) in 1970 with a first class BA honours degree in Economics. In 1971, he was awarded an MA in Contemporary European Studies by the University of Reading. He is also a fellow of the Chartered Institute of Bankers. Mark Boleat spent 25 years working for major national, European and international trade associations. He joined the Building Societies Association in 1974, holding a number of positions before being appointed Director General in 1986. He also became Director General of the Council of Mortgage Lenders when that organisation was created in 1989. In addition, between 1986 and 1989 he held the positions of Managing Director of the European Federation of Building Societies and Secretary General of the International Housing Finance Union. In 1993, he joined the Association of British Insurers, the largest British trade association, to become its first Director General. While at the ABI, he was a member of numerous industry committees, including the Finance and General Purposes Committee of the Confederation of British Industry. 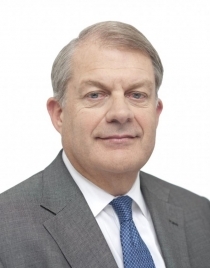 In 1999, Sir Mark established Boleat Consulting, a consultancy business specialising in trade association strategy and management and the handling of public policy issues. He has helped establish, merge and reorganise trade associations in a number of sectors. He has also undertaken projects for the World Bank on housing finance in Russia, Nigeria and Egypt, for the International Finance Corporation on Housing Finance in Uganda and for the Government of Jersey on consumer policy. Sir Mark Boleat is Chairman of Link Scheme Ltd and the Governors of the City of London Academy Highbury Grove. He has been Chairman of the City of London Policy and Resources Committee, the Jersey Development Company and the Channel Islands Competition and Regulatory Authorities, and a non-executive director of Countryside Properties, the Comino Group, Travelers Insurance Company and the three life insurance companies owned by Abbey National, and from 2009 to 2012 was a member of the Government’s Regulatory Policy Committee. He was awarded a knighthood in the 2017 Birthday Honours for services to the financial services industry and local government in London. Sir Mark Boleat has published twelve books on various financial and public policy issues, including three pioneering studies: The Building Society Industry; National Housing Finance Systems - a Comparative Study; and Managing Trade Associations. His most recent publications are An Agenda for Better Regulation, published in 2009, Jersey’s Population – A History, published in 2015, The Housing Problem in London - a broken planning system, published in 2017 and Brexit and financial services - the story so far, published by the Centre for European Reform in 2018.